Gather around your family and relive your wedding. In a digital world, the idea of physical prints is sometimes an after thought. There is still something special about sitting down with family, friends, and your photo album. The moments you had forgotten are relived and shared. I design every album from start to finish and you have the opportunity to give feedback, add, and swap out photos through the process. 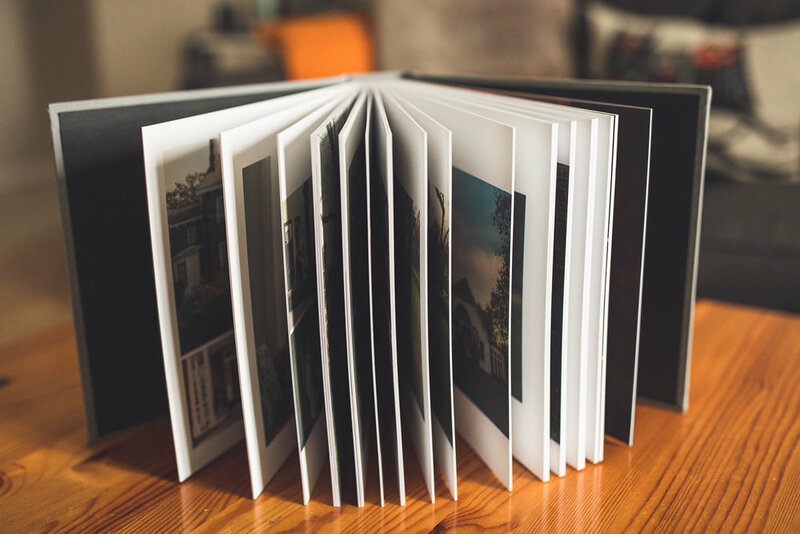 Your fine art photo album will be hand crafted in the USA and shipped directly to you. 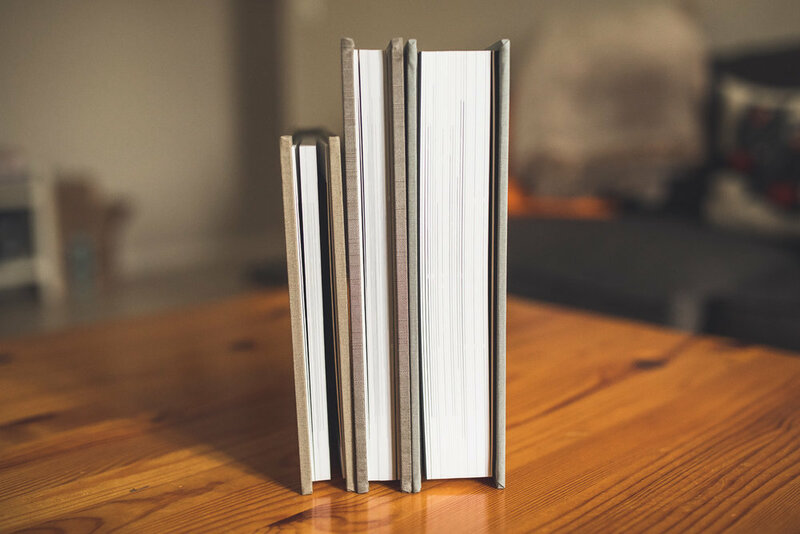 The premium album includes a thick substrate between pages for extra durability and is printed on deep matte photo paper. Includes 30 spreads (60 pages) with approximately 100 photos. It comes with a solid presentation box for safe keeping. The classic album is printed on lustre photo paper. Includes 25 spreads (50 pages) with approximately 80 photos. Comes with a cloth dust cover for safe keeping. The mini album is printed on lustre photo paper. Includes 20 spreads (40 pages) with approximately 60 photos. Comes with a cloth dust cover for safe keeping. All of these pictures are absolutely incredible!! We seriously can’t thank you enough for capturing so many amazing moments from our wedding. Everyone we’ve talked to has just been raving about how great you were and how awesome/perfect the pictures came out. Want me to take photos of your wedding to create an album? 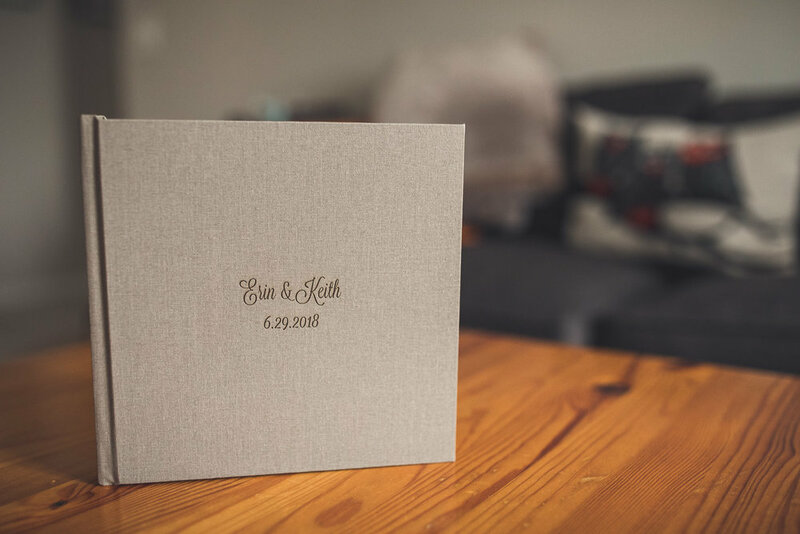 Have I already photographed your wedding and want to add an album? Send me a quick note, and let’s chat!